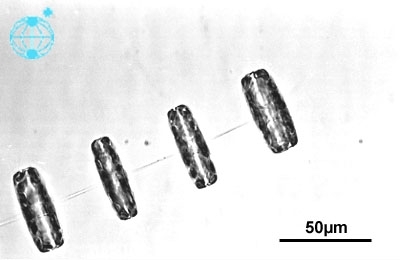 caption Thalassiosira rotula with broad copula (in culture). Diameter: 44 Âµm. This image is part of the collection of Dr. Gerhard Drebes.